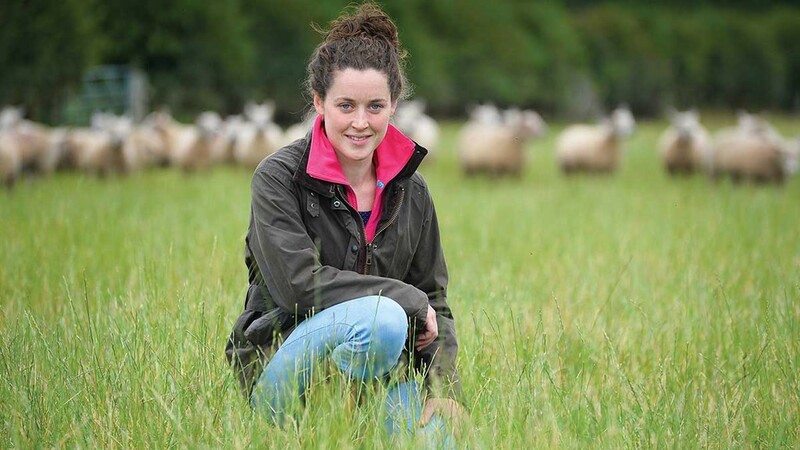 After 12 years in the breed, Shropshire young farmer Abbie Moselely has been making headlines in the Charollais sheep world recently, smashing the breed’s record top price. She tells Laura Bowyer her story to date. Abbie Moseley is a tenacious young farmer, proving her ability with success in the sale ring and shattering the Charollais sheep record price when selling her ram lamb Knockin Shockin for 25,000gns at the recent Worcester society sale. The previous record was 10,500gns. While father Rob has long been in the finishing trade when it comes to sheep, the breeding route has always been more appealing to Miss Moseley, 27, who works full-time at home at Knockin Hall Farm, Knockin, Oswestry, and admits she did not like the idea of sending her stock to slaughter. After lambing three-quarter-bred Charollais ewe lambs at the age of 14, originally bought as store lambs, Miss Moseley’s interest in the breed blossomed. It was in October 2005 at the Worcester Saucy Sale when Miss Moseley made her first purchase in the breed, buying four in-lamb ewes from Percy Tait, Knighton, followed by another from John Davies’ dispersal of the Windmill flock along with two from Dave Reynolds, Ironbridge. Rams were initially jointly owned with Robert Gregory, the main sire in this arrangement being Arjane Jumanji, and all ewe lambs from it were kept. It was in fact the Shropshire-based Mr Gregory who was responsible for the top bid for Knockin Shockin. Oakchurch Ruben, bred by Jeremy Price, Staunton-on-Wye, was the first ram Miss Moseley bought in her own right, paying 3,200gns at Worcestershire’s premier sale, chosen due to his ‘cracking back end and tight skin’. This ram sired the record-breaking Knockin Shockin and Miss Moseley says she will put him to the whole flock this year using AI to ensure a tight lambing window. With a previous personal price record of almost 20,000gns less, Miss Moseley says she could not believe it when bidding finished at the society sale. She says: “Everyone was so pleased for me when I broke the record, it was overwhelming. They had seen me grow up over my years of being in the breed and lots of society members have helped me along the way. The Knockin Charollais flock won last year's central region flock competition. The flock has been already been widely admired, having won last year’s Central Region flock competition. Describing the Charollais as attractive, catching judges’ eyes in the ring, she favours the ‘old fashioned’ pink head with white eyebrows. Lambing inside in the first week of December, 63 ewes were lambed this LAST year and 50 will be lambed this year as she has culled hard. The three top ewes are to be flushed, including Knockin Lulu, which she describes as her best ewe, having won inter-breeds at both Oswestry and Minsterley shows and a first as a yearling ewe, at Shropshire County, plus reserve breed champion. Lulu is the mother of Knockin Puckerup, a ram lamb which was sold to Myfyr Evans’ Rhaedr flock for 4,400gns at Worcester in 2015. The mother of Knockin Shockin will also be flushed, with the record breaker her only lamb to date, along with a Jumanji ewe which she says always produces really good ewes. Having flushed these three, 20 Charollais recipients will be used. The flock does not just attract pedigree breeders but also commercial buyers and Miss Moseley says she has a strong following of commercial producers who visit the farm in August and September, with some coming over the border from Wales for use in later lambing flocks. Miss Moseley is also part of the breed’s inspection team at the NSA ram sale at Builth and helps to check every Charollais’ teeth, testes and feet. She has also done the role at Welshpool, Skipton and Worcester markets. Miss Moseley was quick to make her mark on the farm after returning home from Harper Adams and having worked for two years on Julian and Heather Edwards’ broiler unit nearby, As such, she set about installing two 42,000-bird broiler units, taking on all responsibility for the build, but guided by her previous employers. The farm supplies a Hook2Sisters roaster contract and females leave the farm weighing 2kg at 34 days, while males stay until they are 3.5kg at 47 days. Now on her fourth crop of birds, the increase in responsibility and workload has meant she has less time to show sheep. Working alongside parents Rob and Monica, Miss Moseley takes care of the broiler enterprise and her Knockin flock while they take care of the sucklers, arable and commercial sheep. 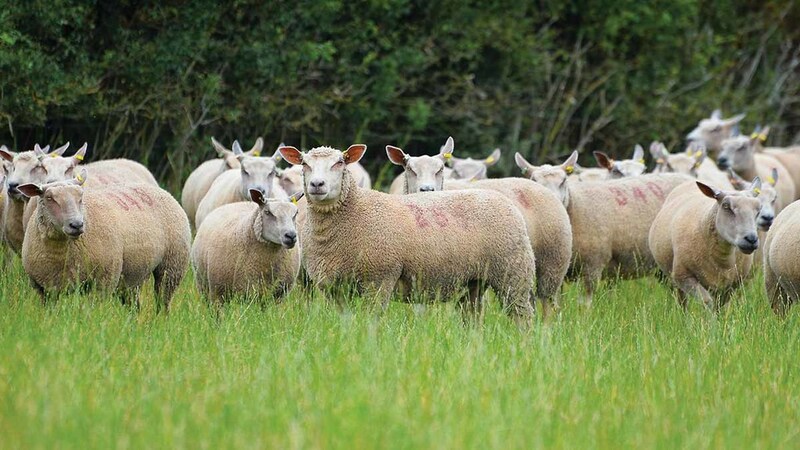 The 300-head commercial ewe flock is also is made up of Suffolk cross Mules and Lleyns, which lamb outside in April and, since Miss Moseley’s venture into the breeding world, are now put to Charollais rams. Grazing clover leys, lambs are not creep fed, but are finished off grass and turnips, if required. 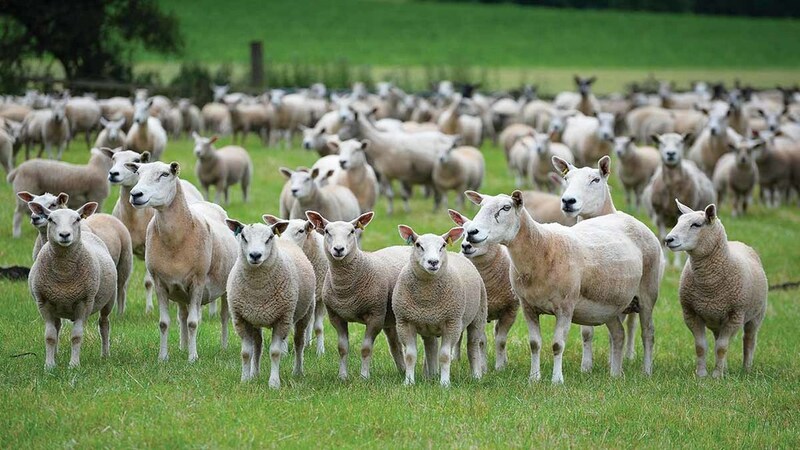 Each year the farm buys 1,200 store lambs from various markets such as Welshpool and Leek to be sold through Oswestry, where all their finished stock goes. Limousin-cross Freisians are run as suckler cows, along with some home-bred females by a Simmental bull, making a 50-head herd. A Bazadaise bull was bought three years ago, which Miss Moseley says gives beef of the same quality as Limousin while calves are born small, being easy-calving and going on to grow quickly.